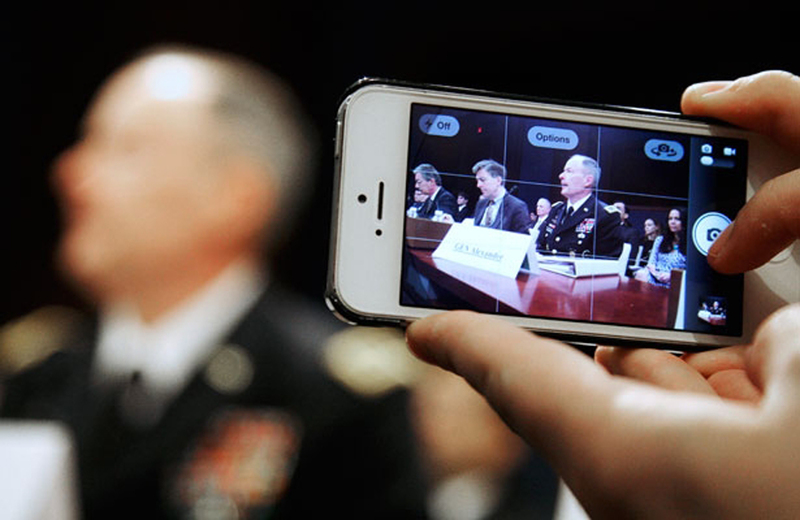 To truly end the NSA's out-of-control surveillance and abuse of power, we need real reform. On Tuesday, February 11, more than 5,000 websites are participating in “The Day We Fight Back ,”a worldwide day of activism in opposition to the NSA’s mass spying. The day is also intended to honor activist and technologist Aaron Swartz and to mark the two-year anniversary of the mass online protest against the Stop Online Piracy Act. The coalition is asking Americans to support the USA Freedom Act, a bipartisan effort to rein in the worst abuses of the NSA. The bill would end the bulk collection of Americans’ records, allow communications providers to disclose the number of surveillance orders they receive, mandate the government publish how many people are subject to surveillance orders and make public significant FISA court opinions. To truly end the NSA’s out-of-control surveillance and abuse of power, we need real reform. Write to your representative and senators now and tell them to support the USA Freedom Act. To amplify your voice, call the congressional switchboard at 202-224-3121 or tweet using the hashtag #StoptheNSA. Then head to TheDayWeFightBack.org to find out more about today’s coalition. In the inaugaral article at First Look media, Jeremy Scahill and Glenn Greenwald reveal that the NSA is using analysis of electronic surveillance, rather than human intelligence, to locate targets for lethal drone strikes—and that as a result, innocent people have died. This video by The Day We Fight Back celebrates the life of Aaron Swartz and the causes, including the fight against mass surveillance, that he fought for.